Some butterflies ears are on their wings. The fact that butterflies had ears remained a mystery to science until 1912, when the first such structures were ever identified. Since then, researchers have analysed them on all sides, and have discovered that the organs, far from being similar in all butterfly species, were in fact extremely diverse and different. 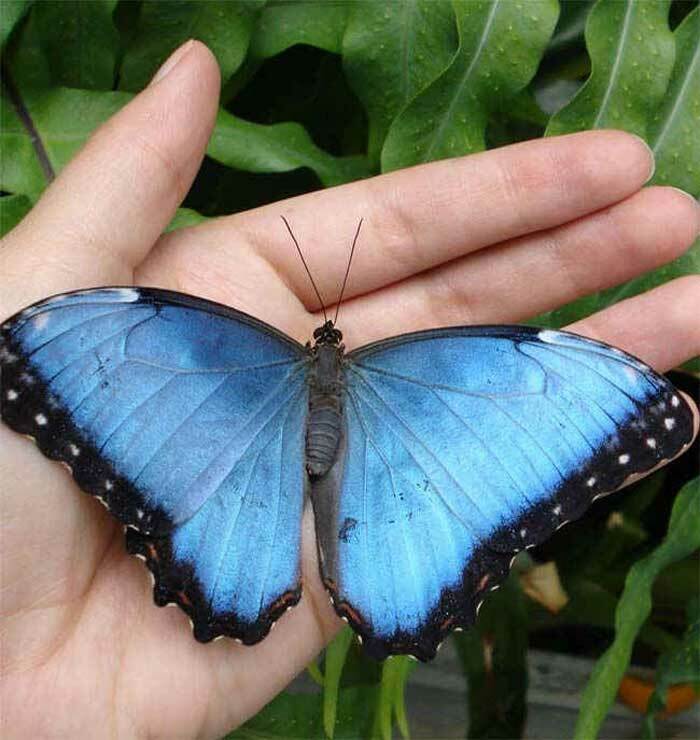 The latest insect to reveal its ears was the blue morpho butterfly (Morpho peleides), a species of butterfly that carries its listening apparatus on its wings. Scientists believe that it uses them in order to recognize the threats from incoming or nearby birds, LiveScience reports. The tiny ears are perfectly capable of making out both high-pitch and low-pitch sounds, and it may be possible that the butterflies are actually able to identify various species of birds, if they know the noises that their wings make. The blue morpho was the last in a series of butterflies that was studied for ears. Not all species have them, but this one, which amazes people through its beautiful coloring, has its tympanal membrane located at the base of the wing. The structure resembles a yolk at the center of a fried egg, the leader of the new research, University of Bristol expert Kathleen Lucas, says.